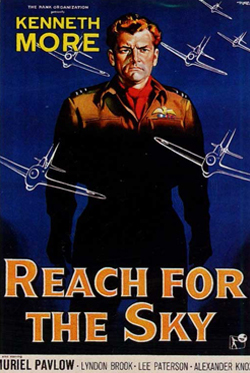 Lewis Gilbert’s 1956 film about a World War II flying ace is one of the great stiff-upper-lip docudramas. Kenneth More stars as real-life hero Douglas Bader who flew numerous missions during the Battle of Britain and survived years in a POW camp. All of this on prosthetic legs. Gilbert’s crew is ace too, including Hammer Studio’s superb cinematographer, Jack Asher.